With our economy delivery option, your new sofa(s) are delivered by our courier partner to the curbside or as close to the door as possible. Please ensure you have help taking the item(s) inside as this is a drop-off only service. Your sofa(s) will arrive attached to a wooden pallet and off the floor and can be wheeled around if need be. Estimated delivery time is within 48 hours or on a week day of your choice. Upgrade to a timed delivery. You're able to upgrade to our Economy Timed service to a 'Pre-10am' or 'After-4pm' slot for an additional £30. Our courier partner can offer a Saturday service for an additional £50. With this option, your new sofa(s) are delivered into your home and placed in the room of your choice. From there, your sofa(s) shall be unpacked and any assembly work carried out. Our delivery team will arrange a delivery date with you a few days before hand so you'll be fully aware of which day your new sofa(s) will arrive. Estimated delivery time is within 14 working days on a week day pre-arranged by our delivery team. 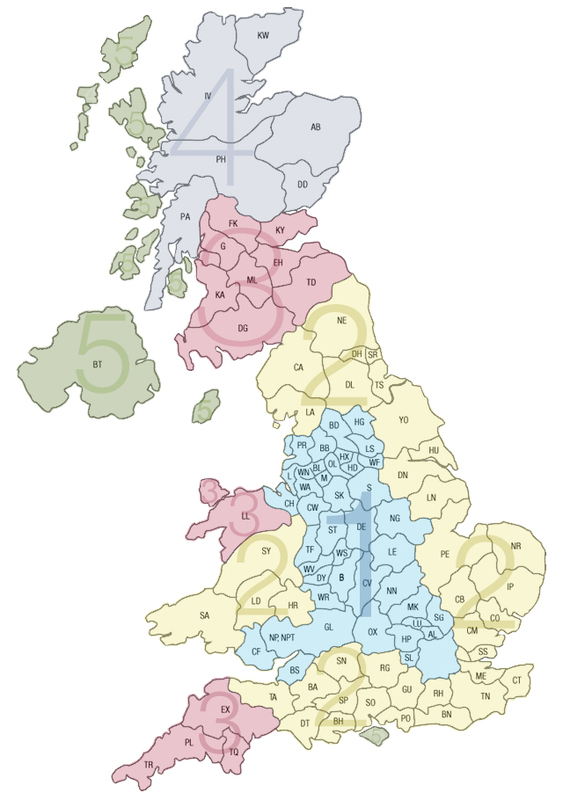 Mainland England excluding Devon & Cornwall. Scotland South, Wales North, Devon & Cornwall. Scottish Isles, Northern Ireland, Isle of Wight & Isle of Man.